/ Best Burger Deal in Destin FL / It’s Here! NCAA MEN’S NATIONAL CHAMPIONSHIP GAME, MLB & More a $9.99 BURGER & BREW & Craft BEER TASTING@6PM! 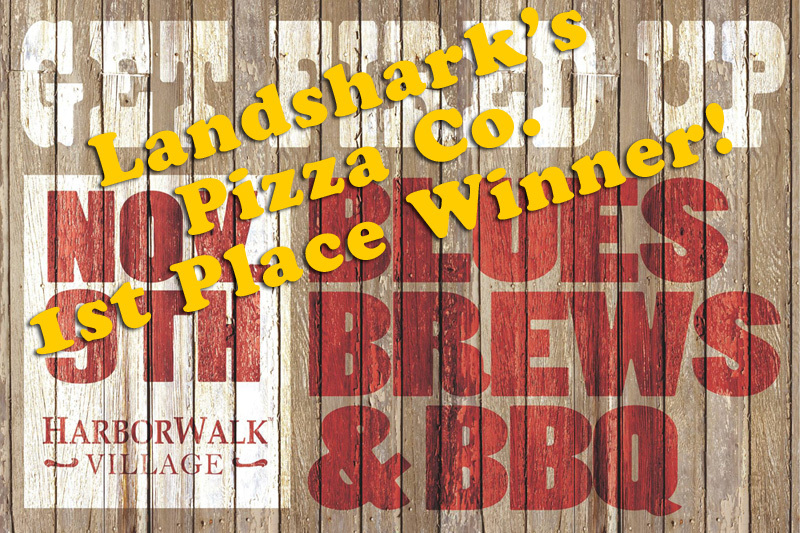 $8 Pitchers & $12 Buckets to Help You Celebrate – NATIONAL CHAMPIONSHIP game today at Landshark’s on our army of big screens! GAME-TIME SPECIALS: $8 SHOCK TOP PITCHERS|$ DOMESTIC PITCHERS|$12 DOMESTIC BUCKETS! 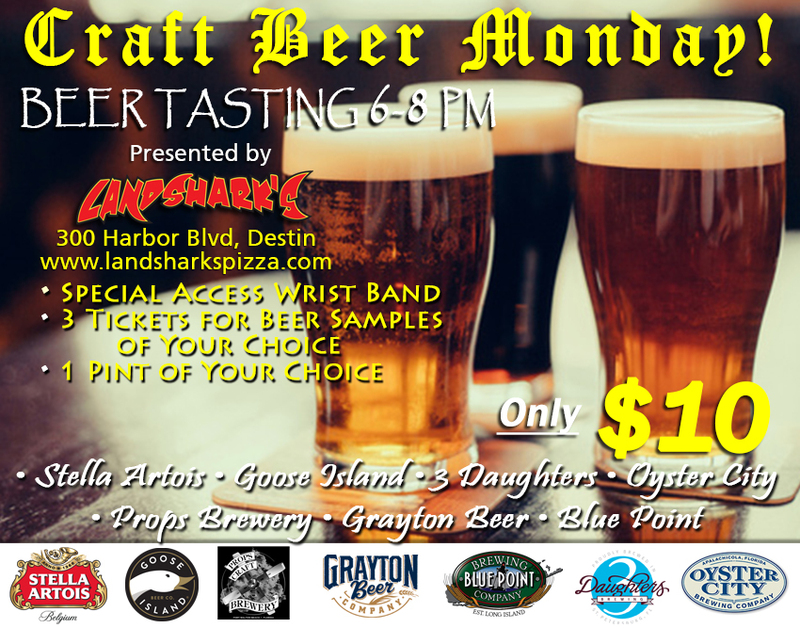 Take advantage of a PREMIUM CRAFT BEER TASTING at 6PM – Join in for ONLY $10 – Includes All-Access Wristband, 3 Tickets for sampling the Craft Beer Monday selections of your choice, 1 Full Pint of the Craft Beer of your choice! DON’T EAT BLAND FOOD ON CHAMPIONSHIP MONDAY! 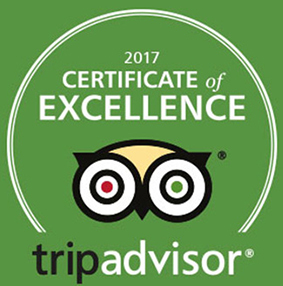 When watching a great event, don’t choke down yesterday’s meatloaf when you can have Award-winning Pizza, Wings, Subs, Appetizers & More! Call (850)424-6743 for Dinner-time Nom-Noms 5PM to 9PM! 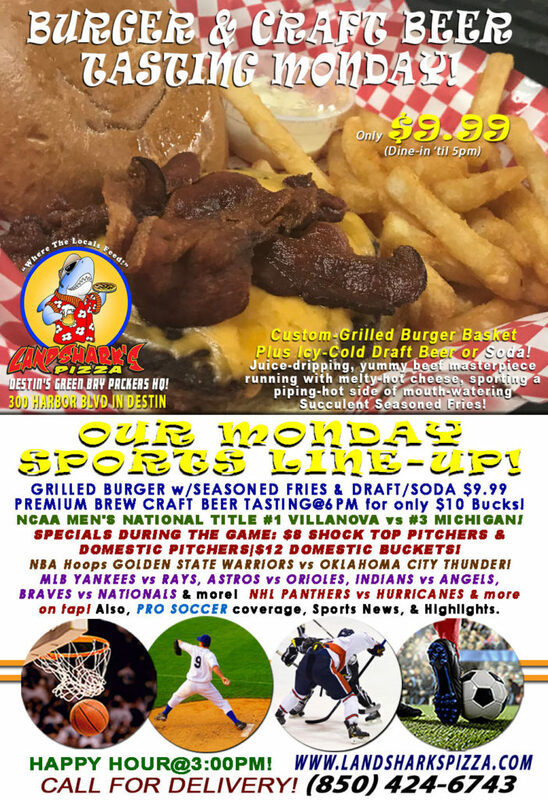 HOT SPORTS ON OUR ARMY OF BIG SCREENS – NCAA MEN’S NATIONAL CHAMPIONSHIP GAME #1 VILLANOVA vs #3 MICHIGAN! Major League Baseball YANKEES vs RAYS, ASTROS vs ORIOLES, INDIANS vs ANGELS, BRAVES vs NATIONALS, Cardinals vs Brewers, Marlins vs Red Sox, Blue Jays vs White Sox, Cubs vs Reds & more! NHL PANTHERS vs HURRICANES & more on tap! 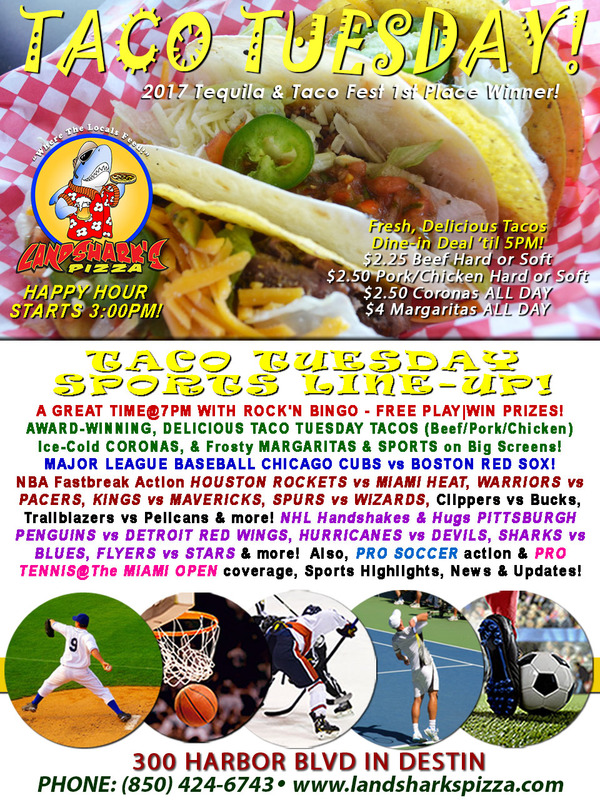 NBA Hoops GOLDEN STATE WARRIORS vs OKLAHOMA CITY THUNDER, HAWKS vs HEAT, & SPURS vs CLIPPERS on the menu! Also, PRO SOCCER coverage, Sports News, Highlights & Analysis! 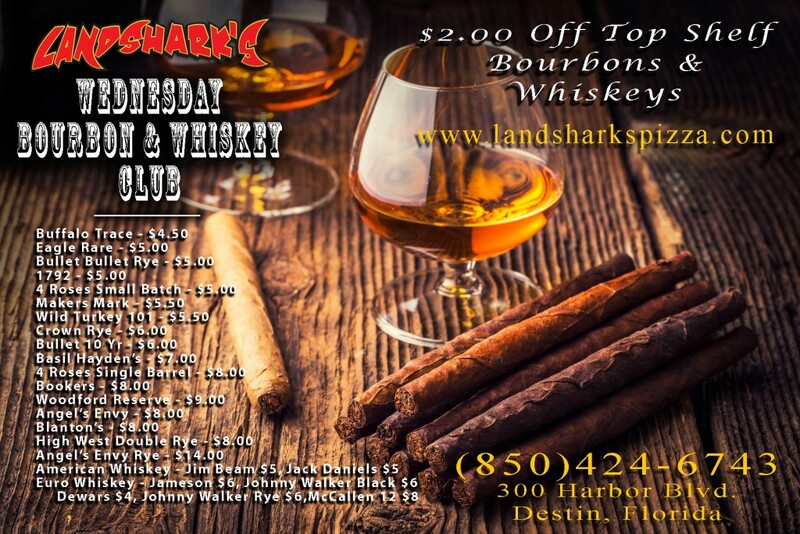 Previous Post: « Landshark’s Taco Tuesday MLB CUBS vs RED SOX|WARRIORS vs PACERS, CAVALIERS vs HEAT & ROCK’N BINGO at 7:00PM!